Successfully Added Huawei P20 Pro Android Phone - 6.1 Inch Screen, Kirin 970 Chipset, 6GB RAM, Fingerprint, NFC, OTG, Triple Back Cameras (Black) to your Shopping Cart. Huawei's P series has always been a pioneer of smartphone and now the Huawei P20 Pro is once again leading the way with the revolutinary Leica Triple Rear Camera where aesthetic vision meets an advanced camera system that shines a light on intellignt photography. With 6.1 inch OLED display feature 2160 x 1080 pixel resolution, and edgeless fingerprint sensor with smart navigation to make operate smooth. Powered by a Kirin 970 processor with Neural Processing Unit, AI is used in the camera to identify your photo subject into one of 19 different categories designed to help you improve photo skills and capture the best shot. While working or have a trip outside, you could not worry about carring your phone in a plastic bag or some kind of bulky case with this IP67 water resistance smartphone. With large 4000mAh battery, you will use your phone long time and with Huawei SuperCharge also could charge the battery fast. 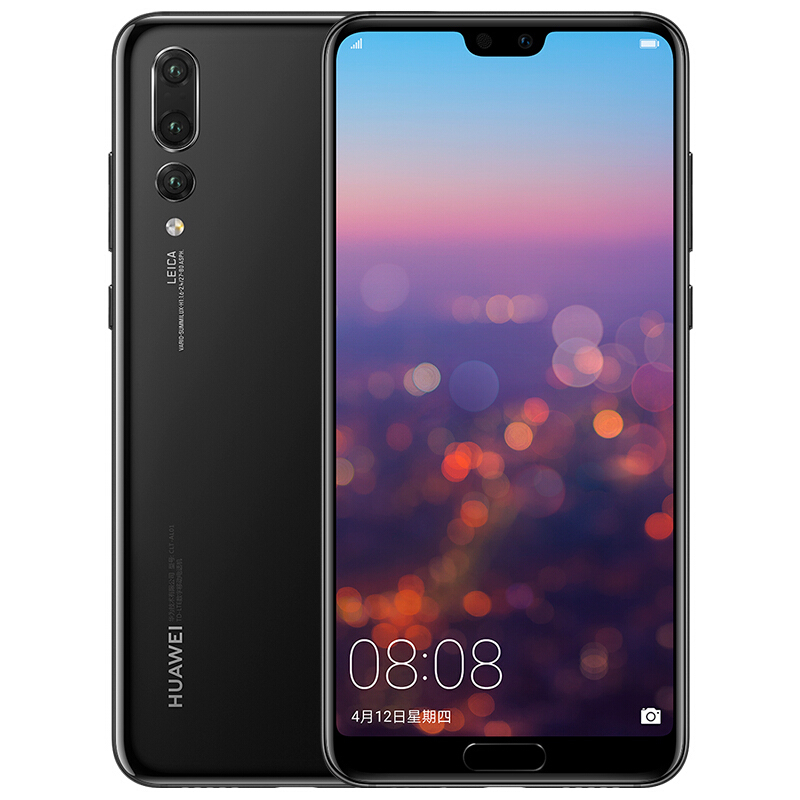 This Huawei P20 Pro Android Phone comes with 12 months warranty, brought to you by the leader in electronic devices as well as wholesale mobile phones and cheap phones..